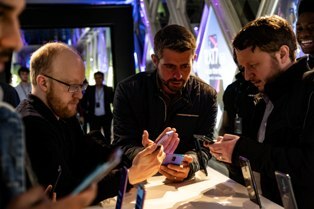 OPPO officially marked their arrival to the UK with a spectacular launch event at Tower Bridge on the 29th January 2019. 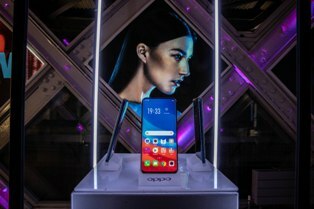 The Chinese electronics giant and leading innovation brand introduced two new smartphones, OPPO RX17 Pro and RX17 Neo, whilst also bringing its flagship smartphone OPPO Find X to the UK for the first time. 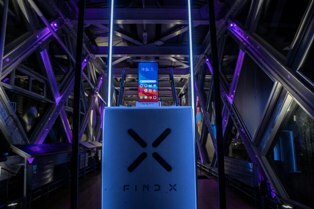 Creative events agency, My Beautiful City, crafted a truly immersive experience using Tower Bridge’s in-house digital technology to take invited guests on a visual brand journey. OPPO’s brand identity was embraced using Tower Bridge’s dynamic colour-changing LED lighting system to illuminate the high-level Walkways. Along the Walkways an eye-catching blue and purple gradient was created, giving homage to OPPO’s new RX17 Series smartphone, with messaging that read ‘The Time Is Now’. 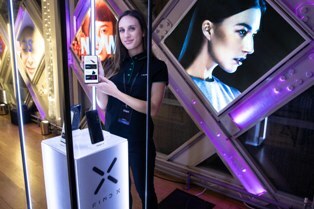 The event hosted around 110 attendee’s including media, influencers, company staff and suppliers, with a drink’s reception, followed by speeches and a product experience, in which the latest smartphones were on display for users to engage with the latest in technology and innovation. OPPO have always pushed the boundaries of smartphone technology and based their latest handsets upon four pillars; design, innovation, community and young minds. Seasoned, the Tower Bridge venue and events team, provided a delectable array of drinks, canapés and bowls.